Silvia founded Childhood in 1999, with the goal of providing support to and protection for children who had experienced sexual abuse. Childhood now supports programs in 17 countries and has sister foundations in the United States, Brazil, and Silvia's native Germany. 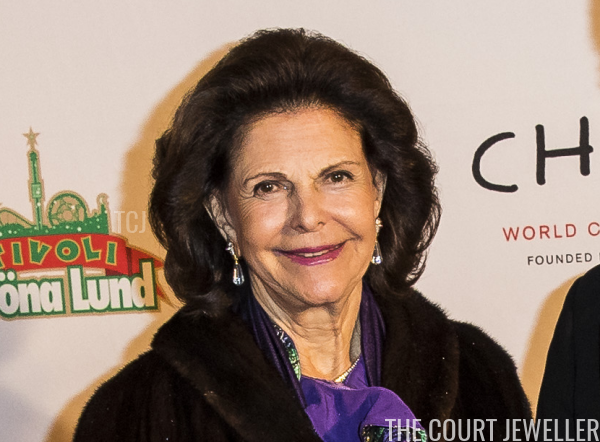 For the big anniversary celebration dinner, Silvia wore an intriguing pair of earrings. The pair appears to feature a gem-set stud with a clear gem drop. The drops of the earrings look like they may be drilled. We also caught a glimpse of Silvia's rings as she arrived at the restaurant. 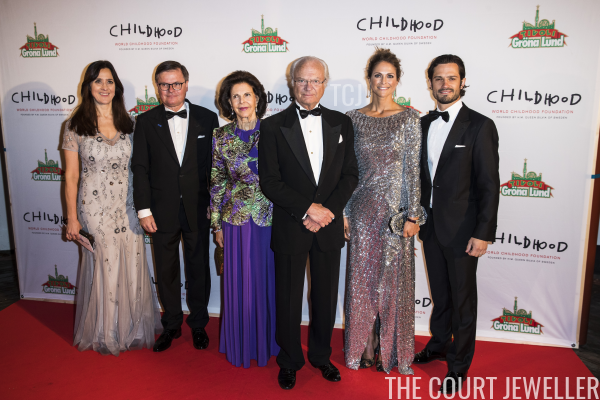 Princess Madeleine and Prince Carl Philip were also on hand to support and celebrate their mother's initiative. Madeleine, who has done work with Childhood as part of her own charitable program, wore a glittering dress and dramatic earrings for the event. 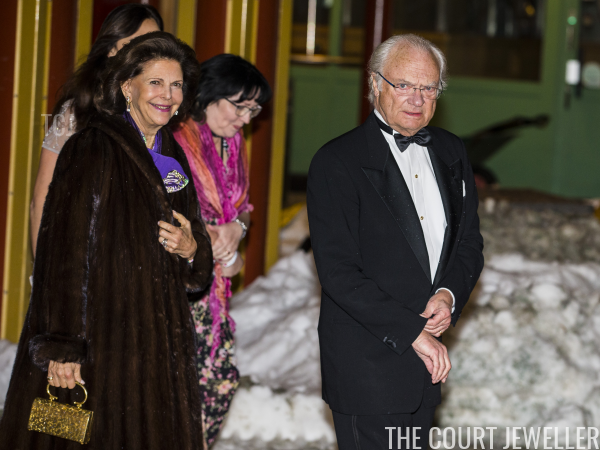 The bezel-set diamond and pearl drop earrings neatly echoed both the silvery sparkles of her gown and the white fur of her jacket. A close-up view also shows us that Madeleine wore a pearly ring on her right hand -- and the signature colorful beaded bracelet of the World Childhood Foundation on her right wrist.